Do you love Asian food? Who doesn't right? With so much flavors and so much variety, you would be amazed that if you tried to have a dish a day for 365 days, it would take you at least 10 years or more to have it all done. By then, there would be new dishes lined up for you to taste again. It is a never ending journey of culinary delights! But in this day and age with all the rising gas prices and rising cost of living, only a handful could really afford to dine at restaurants everyday, and of course it's not considered healthy. 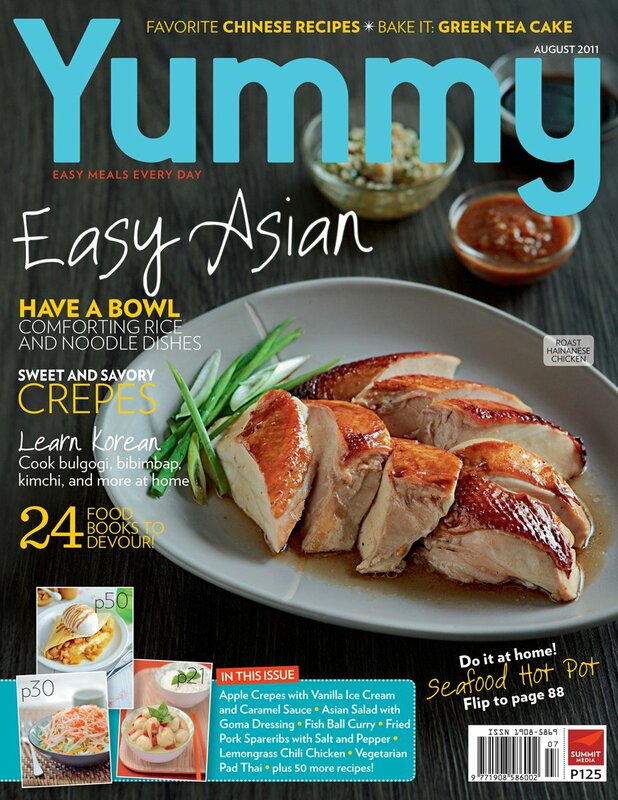 YUMMY magazine has made it its mission to provide readers with easy meals every day, featuring recipes that are quick to prepare with ingredients readily available in local supermarkets. 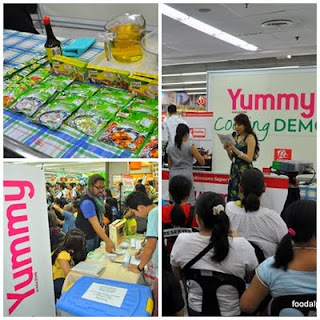 Just recently at the Robinsons Galleria Supermarket, YUMMY and Knorr showed readers how to prepare easy Asian dishes in a cooking demo led by chefs Tristan Encarnacion and Angelo Comsti. Hosted by deejay Ingrid Nieto of Mellow 94.7, the YUMMY Cooking Demo featured four special recipes from Knorr prepared by Encarnacion, and two recipes from the August issue of YUMMY –an Asian Dishes Special—prepared by Comsti. Bloggers and guests were treated to an afternoon of great cooking and great food, masterfully done to suit your discerning taste. CLICK HERE to sign up for you to download the Cooklet Application on your Nokia Mobile phone to access recipes and tips when you need them. You can even send and share the application to a friend. Participants sampled the dishes after the cooking demo and received back issues of YUMMY magazine and recipe cards from Knorr. YUMMY and Knorr merchandise were also available for sale at the YUMMY Cooking Demo. By the way do have your way with BAON, a rice meals and sandwiches cookbook that gives new twists to old favorites and bring your Baon repertoire up a notch. Get 13 rice recipes to love and 12 ideas for every sandwich-lover. The YUMMY Cooking Demo was sponsored by Knorr. Equipment was provided by Fujidenzo and Masflex by Maxim. Grab a copy of the August issue of YUMMY magazine, available in newsstands, bookstores, and supermarkets nationwide. 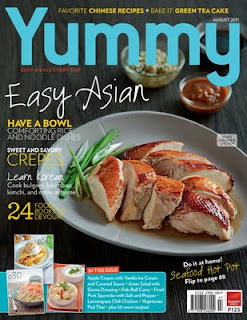 Also out in the market is YUMMY’s own cookbook, Baon, which features quick and easy meals perfect for people on the go. Lastly, YUMMY is giving away P45,000 worth of goodies! For more details grab a copy of the August issue of YUMMY Magazine, available in newstands, bookstores, supermarkets and department stores nationwide. My trip to Boulevard Diner + WIN GC's!! !